I’m Dreaming Of A White… Russian? Last night, with it being Christmas Eve Eve, I decided to indulge my inner bartender and make us cocktails. I opted for White Russians since I happened to have half & half in the fridge and the right spirits in our lazy Susan liquor cabinet (I know, I know, gotta baby proof the 80 proof one day). A White Russian is vodka, coffee liqueur, and cream (for a Black Russian, simply omit the cream). It’s a drink I first picked up on in my early 20’s when I started ordering cocktails and needed something tasty and easy to remember. White Russian stuck, maybe because I love the dance flick White Nights, maybe because I minored in Russian in college. It’s basically a spiked iced coffee… and you can never go wrong with a spiked iced coffee. A White Russian may be an overlooked drink, but when you make it with my favorite vodka, organic Peabody Jones Vodka by Woodinville Whiskey Company, and microbatch locally roasted Coffee Liqueur by New Deal Distillery, you’re on a whole other gourmondo foodie level of White Russian. These spirits are each amazing on their own, and I suggest sipping each one on its own just so you can appreciate their complex and delicious flavors. 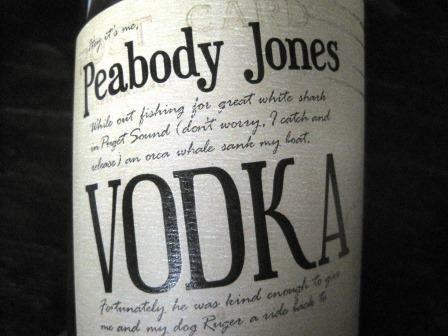 Peabody Jones Vodka and New Deal Coffee Liqueur hail from fabulous tasting rooms that are full of additional tantalizing options and are most definitely worth checking out. Trust me, you’ll be paying tribute to them for years to come after your first revelatory visit. You can even find both their products at Total Wine now! 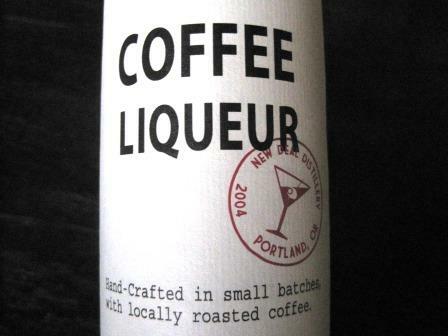 Since the vodka and coffee liqueur are more complex than usual, you might think that combining them would result in gustatory excess. I am of the school of “more is more” in this instance. Mixing one outstanding spirit with another outstanding spirit is like pairing Brad Pitt and Angelina Jolie; so much hotness can’t be a bad thing, unless you think they’re so hot it’s sickening, in which case you are probably a purist and don’t like mixed drinks anyway. Bah humbug! So, here is a recipe for the best White Russian you will ever have. It is the Rolls-Royce of White Russians. Enjoy one this week as you watch The Big Lebowski with family or friends (if you don’t know what I’m talking about… do it anyway and find out). Pour vodka first, then coffee liqueur, then cream, into an old-fashioned glass with ice, and stir. © Brenna Arnesen and The Rambling Vine, 2012 – Present. Unauthorized use and/or duplication of this material without express and written permission from this blog’s author and/or owner is strictly prohibited. Excerpts and links may be used, provided that full and clear credit is given to Brenna Arnesen and The Rambling Vine with appropriate and specific direction to the original content. This entry was posted in $11-$19 Price, $20-$25 Price, Dessert Wines, Highly Recommended, Humor, Liqueurs, Terrific Tasting Room, Vodka and tagged cocktails, coffee liqueur, craft distillery, humor, new deal distillery, oregon, peabody jones vodka, portland, tasting room, the big lebowski, white russian, woodinville, woodinville whiskey company, writing by The Rambling Vine. Bookmark the permalink. © Brenna Arnesen and The Rambling Vine, 2012 - Present. Unauthorized use and/or duplication of this material without express and written permission from this blog’s author and/or owner is strictly prohibited. Excerpts and links may be used, provided that full and clear credit is given to Brenna Arnesen and The Rambling Vine with appropriate and specific direction to the original content.